This fabulous Masai Mara migration safari focuses on the Mara with a laser-like focus. At a special all-inclusive price, you will fly to the Mara and spend 5 whole nights in the thick of action. For guests travelling between July and October, the chance to view the Great Migration of Kenya will be once in a lifetime. Day 7: Scheduled flight home. Special Price: The price of USD 2750 per person is valid for 2017 (inclusive of internal flights and transfers). So book now to ensure availability! On arrival into Jomo Kenyatta International Aiport (JKIA) on your international flight. The team & vehicle will be there to greet you and transfer you to your internal flight to Maasai Mara. 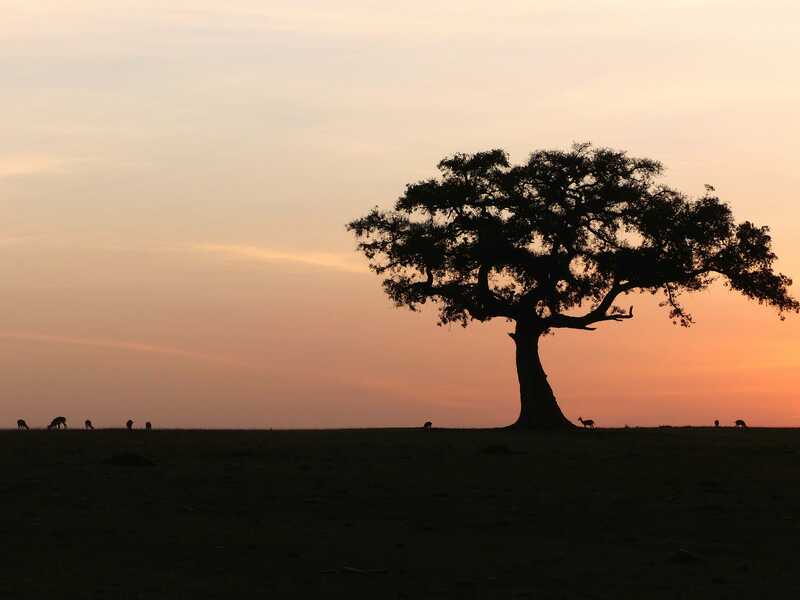 On arrival in the Mara you will be struck by the vastness and beauty of the landscapes. The migration in full swing, witness hundreds & thousands of wildebeest & zebra make their way across the plains. Have your first game drive as you head to camp. Here have you first glimpse of the Great Migration. Settle into camp life with refreshing welcome drinks. A typical safari day starts at dawn for early morning game drives, wake up to steaming cups of tea & coffee as you set off in the cool on your morning game drives. Heading out into the savannah, watch the sun slowly rise over the African horizon. 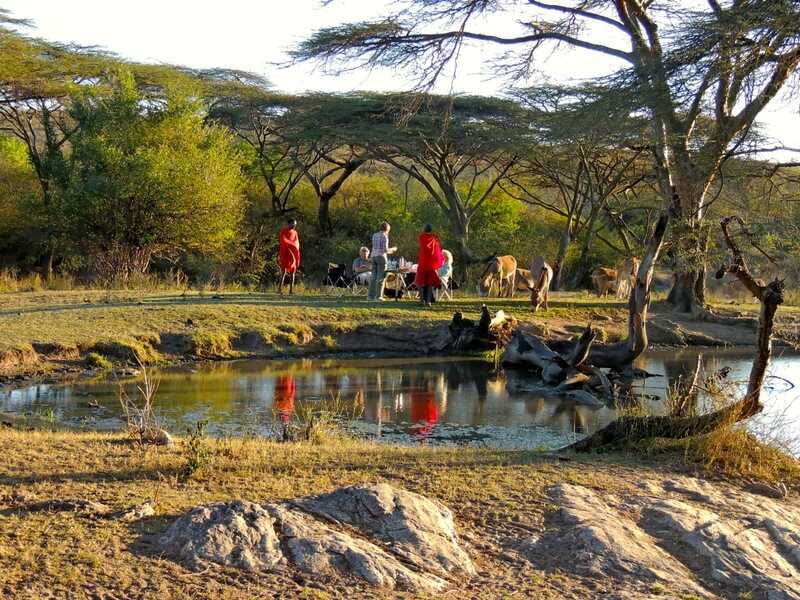 A bush breakfast can be arranged under the shadow of ancient acacia trees. With the migration in full swing the activity will be plentiful, with large herds of game-plains moving in search of greener pastures, the big cats are never far behind! Not wanting to miss a moment of the Great Migration, a picnic lunch can be arranged, As the sun begins to set, unwind with refreshing sundowners and appetizers. Wake up to the sound of chirping birds as you get ready for your early morning game drive, watch the colours of the landscape change as the sun rises over the horizon. Steaming hot tea and coffee will keep you warm in the cool morning air. In close proximity to major river crossings, witness as crocodiles lay waiting as wildebeest & zebras take a leap of faith into raging river waters. A photographers dream as scenes commotion & chaos unfold. In the heat of the day, cool down at the camp, set on the lush oasis on the banks of the Olare Orok River, comfortable day beds overlook the nearby plains, sit back, relax and watch the wild in action. In the cool of the evening, get back into the action with an evening game drive, leading to a breath-taking sundowners spot, you can watch the sun set over the migration madness, seeing how far they’ve come and where they still have to go. 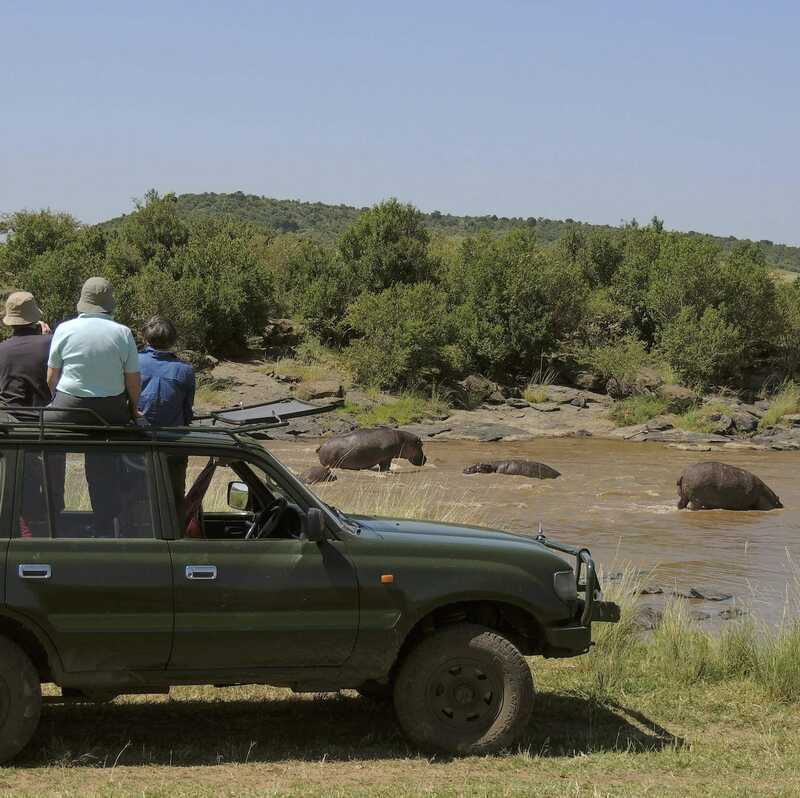 Following a similar theme to the first two days, morning game drives, bush meals and sundowners can all be arranged. 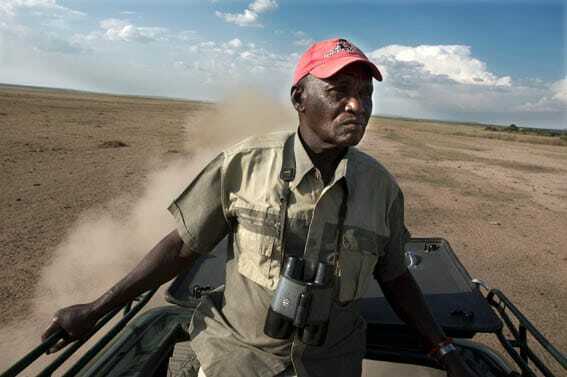 With your own exclusive vehicle and expert Maasai guide throughout your stay you are free to choose for activities! Allowing you complete freedom to spend your time as you please from viewing the amazing wildlife from dawn ’till dusk or relaxing under the shade of acacias enjoying your bush meals or sundowners! Soak up your surroundings with fresh coffee, delicious seasonal fruit & homecooked food. Dramatic river crossings, the Big Five, Big Cats and rolling plains are all at your fingers tips to be discovered! ‘Cheers’ your safari with farewell sundowners. Enjoy a farewell safari dinner back at camp. 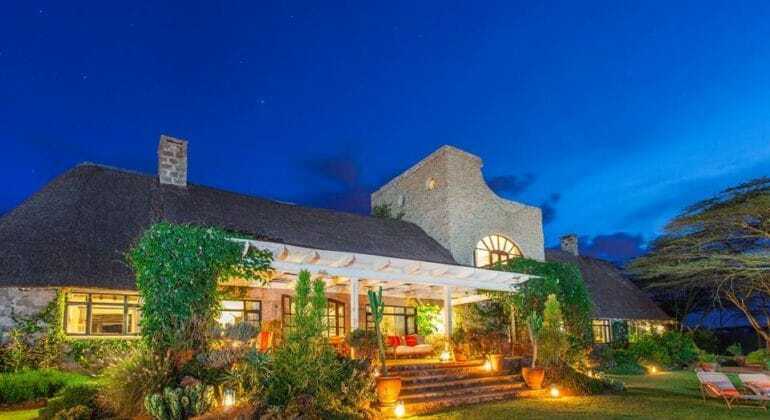 Game drive to the nearby airstrip for your short flight back to Nairobi. Upon landing, you’ll be met by the Ololo team & vehicle and game drive you through Nairobi National Park back to Ololo Lodge. Spend the afternoon relaxing by the pool with a cool drinks and delicious food. Start the day in leisurely way, with home brewed Kenyan coffee watch the Park come to life from the veranda at Ololo. A short drive takes to the world-famous elephant orphanage, watch as baby elephants have their play-time. A spot of lunch in town before you head off the airport for the flight home. This fly-in safari is priced at USD 2750 for all seasons in 2017. Book early to ensure availability! 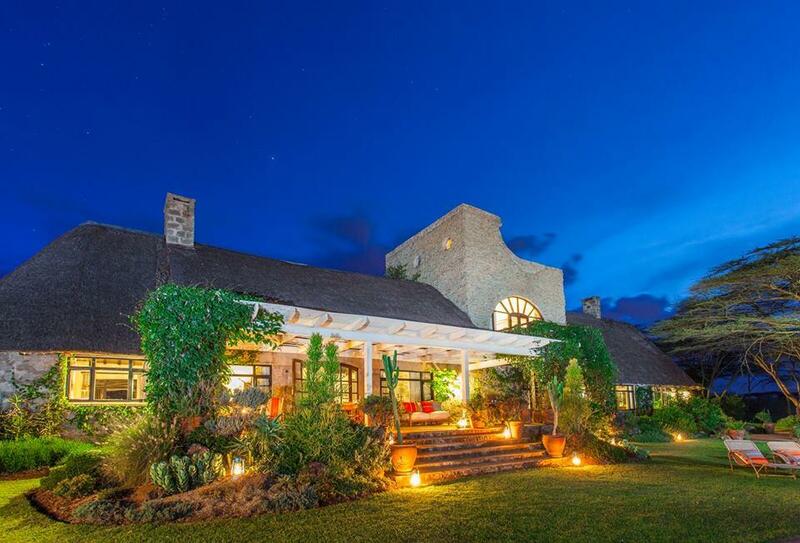 This is a fly-in safari that begins and ends in Nairobi, Kenya. You should fly into JKIA airport.